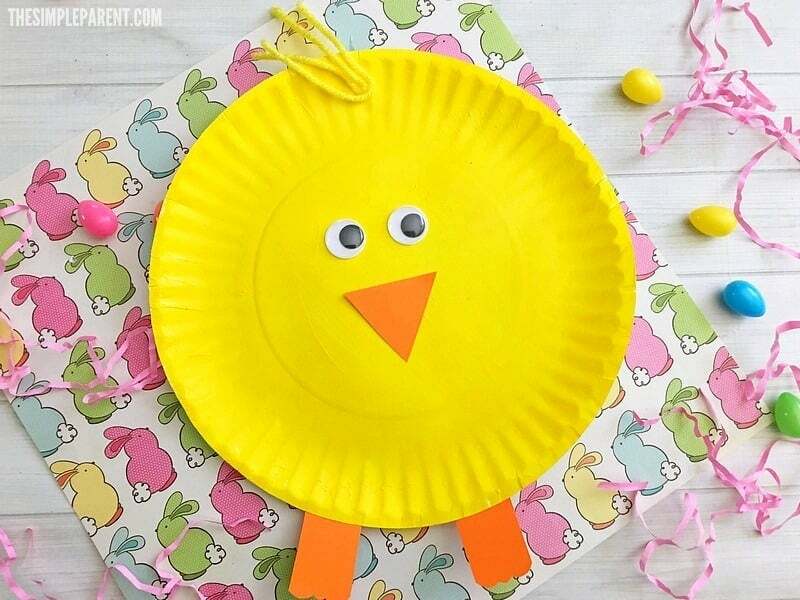 When it comes to paper plate crafts, holidays are the perfect inspiration for new ones and so we just had to make a easy chick paper plate Easter craft for the kids this year! 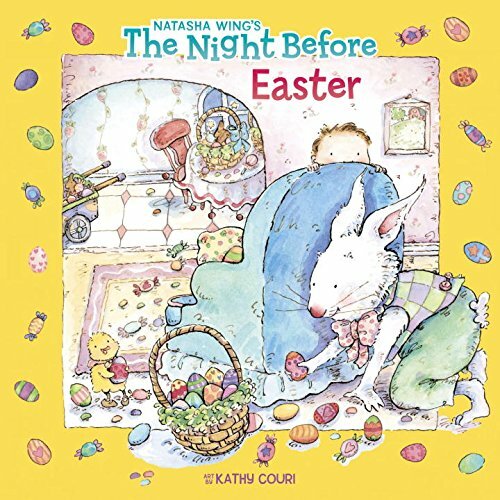 We haven’t made an Easter paper plate craft in a long time! Not since we featured this DIY Easter Bunny Basket! So it was time and chicks are so cute! We couldn’t resist! Carrigan is really into all of the Easter things she sees in the stores when we’re out and about. It’s fun to see her want to try on bunny ears. She even picked out some adorable decor for our mantle. So getting her to sit down to make a paper plate Easter chick craft was easy. She was excited to get involved! We’ve included some affiliate links for some of the supplies you need for this paper plate Easter craft and others. We appreciate your support and hope you have a blast making this one! 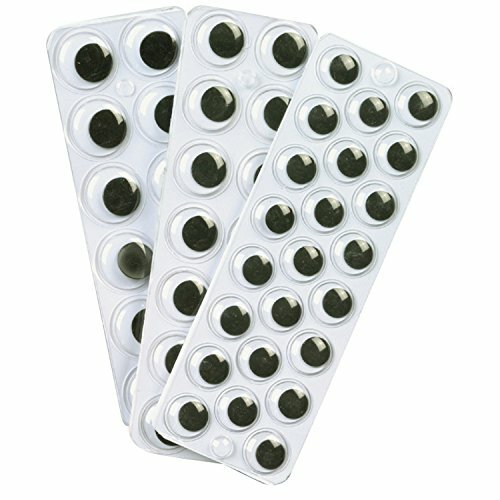 Lay out some newspaper or other paper to protect your table before you get started. 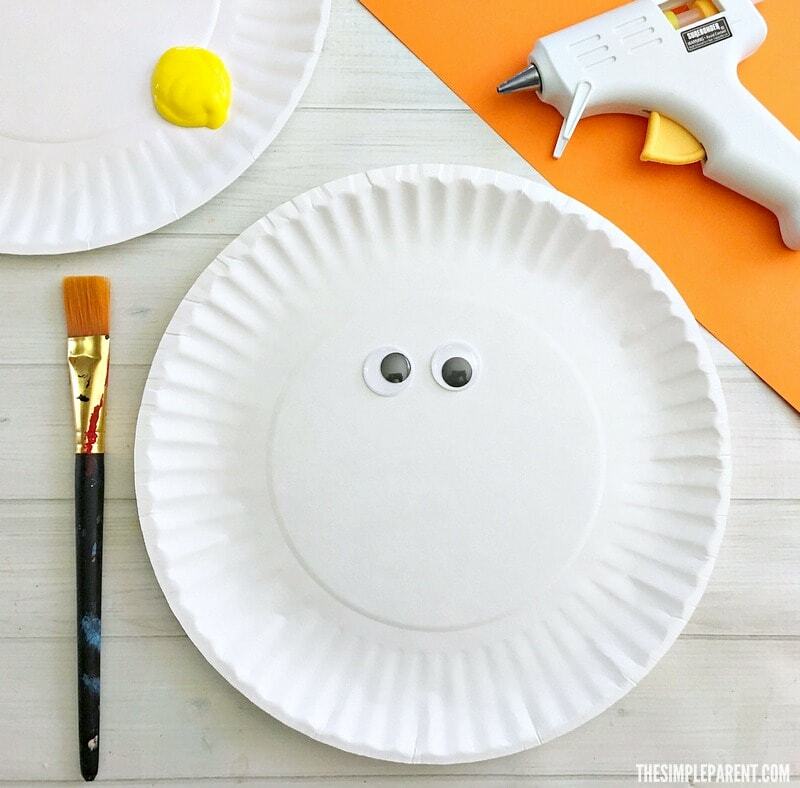 Use the paint brush to paint the paper plate yellow and let dry completely. 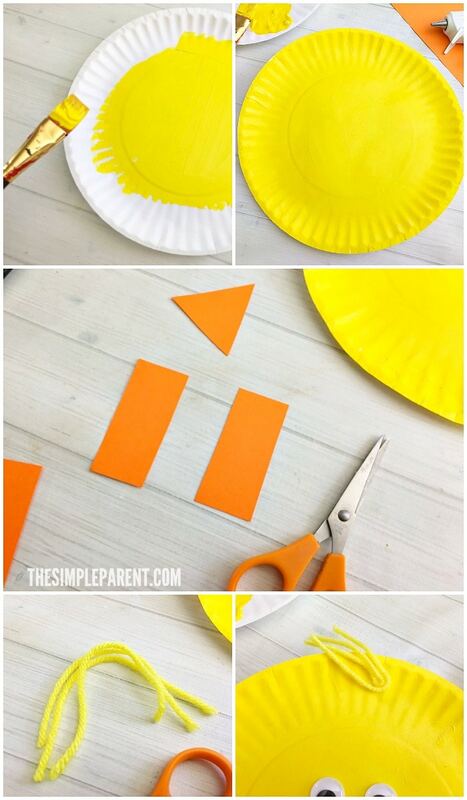 Cut out a 1-2″ triangle and 2 small rectangles from the orange construction paper. Glue theorange triangle to the center of the yellow plate. Scallop cut the bottom of the rectangles and glue them to the bottom back of the plate. Now glue the googly eyes above the orange triangle. Cut two 6″ pieces of yarn, fold in half, and glue to the top of the plate. 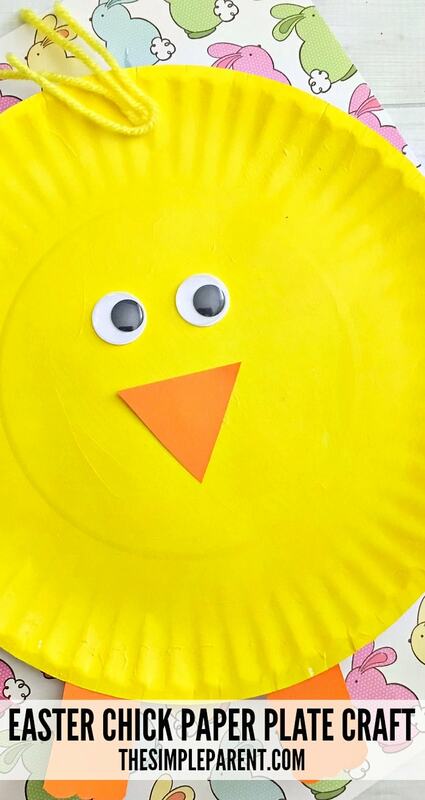 And you’ll have an adorable paper plate Easter chick craft! 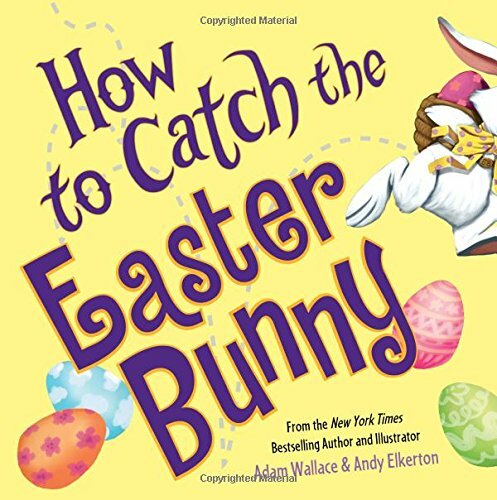 For even more fun, be sure to check out all of our easy Easter ideas! 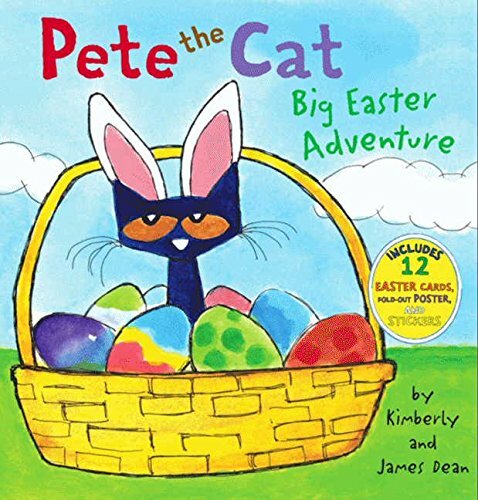 And if you’re looking for some good Easter books to read after you make your paper plate Easter chick craft, check out a few of our favorites!